Today, Planned Parenthood affiliates in Texas filed a petition on behalf of their patients to request that the full bench of the Fifth Circuit Court of Appeals consider the constitutionality of harmful abortion restrictions that were struck down by a federal district court last fall. On March 27, a three-judge panel of the court upheld the Texas law, making safe and legal abortion virtually impossible for thousands of Texas women to access. Similar laws have been blocked by federal courts in Alabama, Mississippi, and Wisconsin, and the U.S. Court of Appeals for the Seventh Circuit last December affirmed a preliminary injunction against enforcement of Wisconsin’s law. In the petition filed today, Planned Parenthood argues that the three-judge panel’s ruling warrants closer review by the full court because it conflicts with decades of applicable Supreme Court precedent and if allowed to stand would have terrible implications for women’s health and rights. “The three-judge panel’s ruling on March 27 failed the women of Texas, and severely limits a woman’s access to safe and legal abortion in vast regions of the state. This hardship further impacts women who have already lost access to birth control and preventative health care at the hands of a small group of politicians who are trying to impose their beliefs on all Texans. The three-judge panel that ruled on March 27 includes a judge who is openly hostile to Roe v. Wade. The Fifth Circuit has repeatedly upheld laws that impose medically unnecessary restrictions on abortion and take health care away from Texas women in need. In a highly unusual move, last October, it abruptly stayed a lower court’s permanent injunction issued after a three-day trial on the abortion restrictions. In 2012, it allowed Texas to bar all Planned Parenthood health centers from participating in a preventive health care program. Earlier that year, it upheld an especially cruel and demeaning forced ultrasound law. The March 27 ruling upholds a law requiring doctors who provide abortions to obtain admitting privileges at a local hospital — a requirement that leading medical associations like the American College of Obstetricians and Gynecologists (ACOG) and the American Medical Association (AMA) oppose because it harms women’s health and interferes with the doctor-patient relationship. 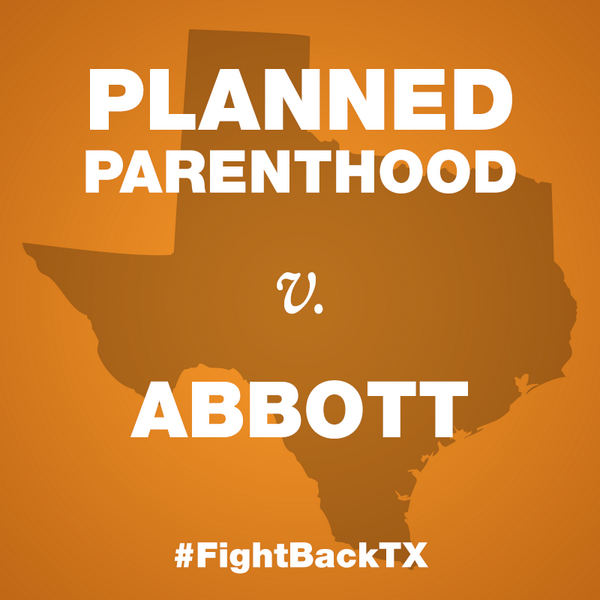 The lawsuit, Planned Parenthood v. Abbott, was jointly filed on September 27 on behalf of more than a dozen Texas health care providers and their patients by Planned Parenthood Federation of America, the Center for Reproductive Rights, the American Civil Liberties Union, and Texas law firm George Brothers Kincaid & Horton. In striking down the measure as unconstitutional after a three-day trial, U.S. District Judge Lee Yeakel said the admitting privileges requirement has “no rational relationship to improved patient care” and also “places an undue burden on a woman seeking an abortion.” Despite that ruling, a panel of the Fifth Circuit allowed the law to take effect on November 1, 2013, while the case was on appeal and a different panel held it constitutional on March 27. See here, here, and here for the background, and here for the Trib story. Needless to say, I expect exactly zero joy out of this, but ya gotta do what ya gotta do. The real question is whether or not to press our luck with SCOTUS when the Fifth Circuit rejects this petition. So now that we’ve finally disposed of the single most important issue facing Texas today in the Senate, perhaps we can move on to other matters thay may be of interest, like the budget and CHIP and windstorm insurance and unemployment and…Ha ha ha, just kidding. Who needs to debate those issues when we can talk about forcing women who want to get an abortion to get an ultrasound first? 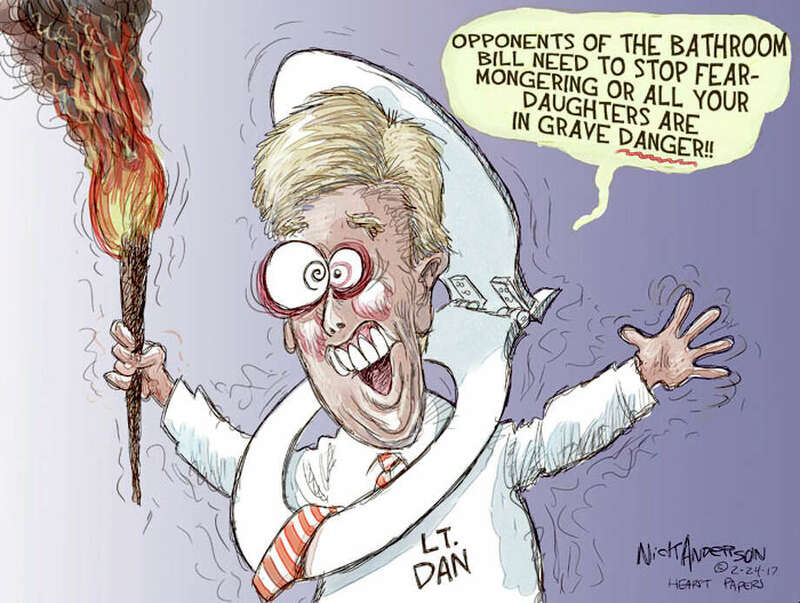 That’s the idea behind Sen. Dan Patrick’s SB 182, which will be heard by the State Affairs committee this Thursday at 1 PM. Floor Pass has the background on this little charmer, in which the modern day Republican Party finds another reason to ignore its self-professed philosophy of getting government out of people’s lives. I mean, who doesn’t want Dan Patrick and Frank Corte making medical decisions for other people? Who cares what the American Medical Association, American Medical Women’s Association, American College of Obstetricians and Gynecologists, and American Public Health Association – all of whom oppose procedure-specific requirements that get in the way of the doctor-patient relationship – think? Frankly, I’m surprised that Patrick and Corte didn’t include a provision that would require all these women to get a diagnosis over the phone from Bill Frist before proceeding. Anyway, if you think that maybe it isn’t such a good idea for Dan Patrick and Frank Corte to get involved a patient’s private business, now would be a good time to give your Senator a ring and let him or her know that. Thanks very much.